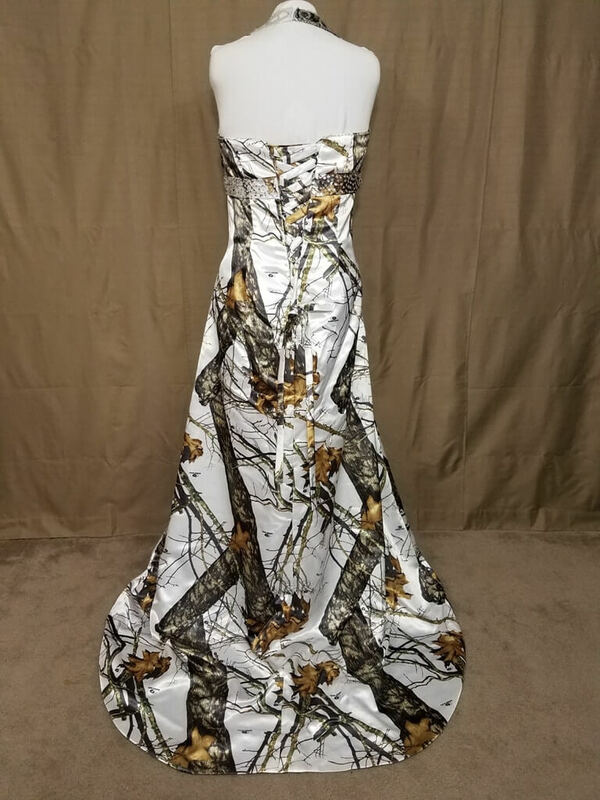 “SIZE 22 IN STOCK and ON SALE!! 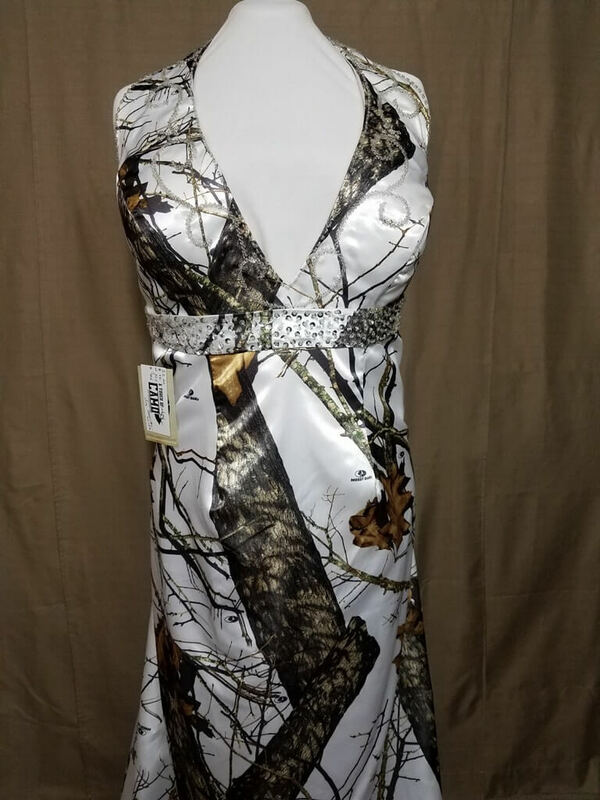 This in stock JOY dress is a size 22 in Mossy Oak Winter. 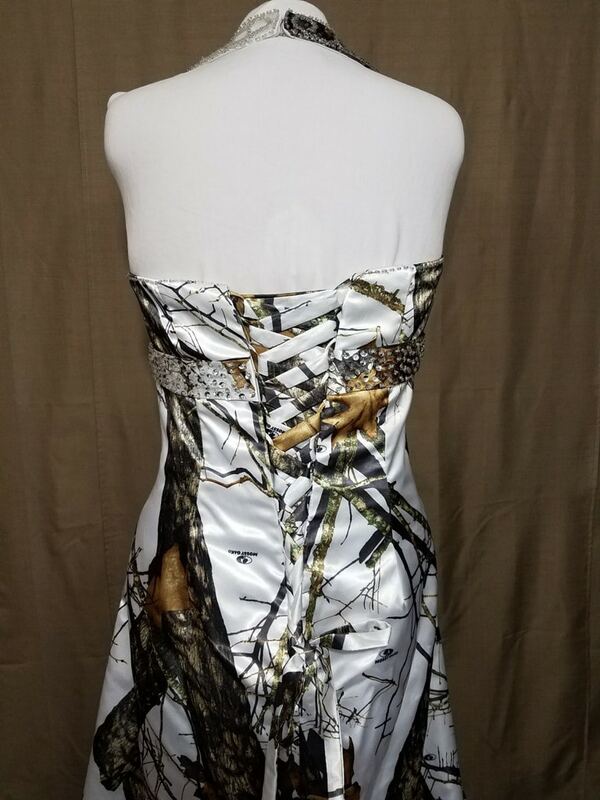 The dress has a halter style neckline that closes behind the neck with an adjustable strap, a modified A-line skirt, and a beaded empire wasitline. The back of the dress includes a corset back with an available modesty panel. 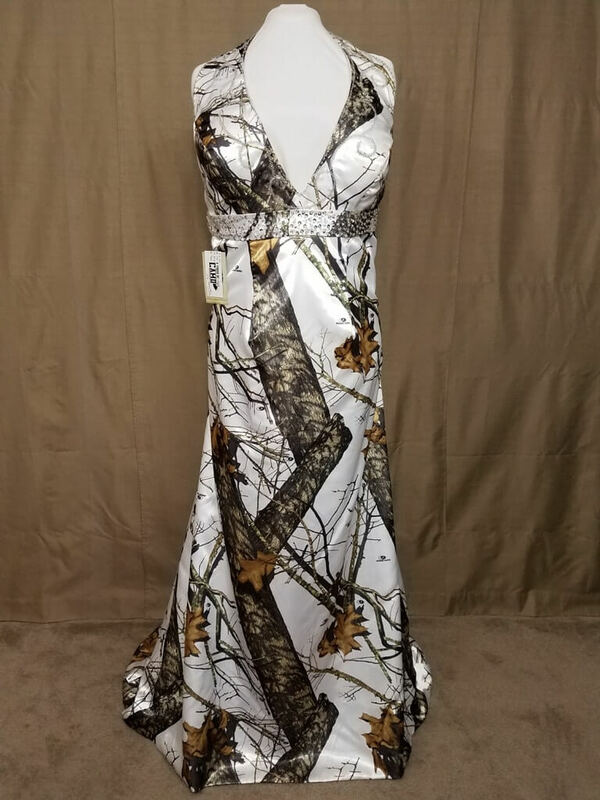 The dress has a small sweep train that falls about 12-18 inches. This size 22 has measurements of B-46, W-37.5, H-49.5.